ROADRUNNERS’ superstar vets Caroline Hoskins and Mark Worringham have both qualified to represent England. The pair returned stunning times in the south of England championships at Chichester to earn international places in May. Carrie will now line up in an England Masters vest in the Great Birmingham 10k… but Mark is sadly unavailable for the big day. The former Roadrunners captain finished 12th overall in the fiercely-competitive Chichester Priory 10k and was the winner of the MV40 age group in 32mins 57secs. 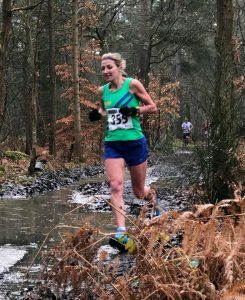 Like Mark, Carrie just missed a personal best, but her time of 38mins 44secs was good enough for third place in the FV50 section and 18th lady overall. The first three Masters in each age group will line up in England colours against another international team yet to be announced. And they will have pride of place in an advanced starting pen just behind the elite group. Now the Henley grandmother faces an anxious wait for official confirmation of her call-up. A thrilled Carrie said: “It was a hard race and very windy, but a great event. “I presume I will hear soon from England Athletics but I have no idea when so I will celebrate when the email comes through. Fingers crossed. To complete a great day of family success Carrie’s daughter Sophie improved her pb by over two and a half minutes with a time of 42:02. Unfortunately Mark, who has already represented his country this winter as a cross-country international, won’t be able to join Carrie in Birmingham. He was disappointed, too, not to manage a pb. “My best time is 32:05 on the track and 32:22 on the road,” he said. “In fact, I think I’ve run quicker than today about six or seven times.” But Mark has plenty of big targets for the running year ahead, starting with a tilt at a sub 2hrs 30mins in the Brighton Marathon in April. And he also has the Masters World Track and Field Championships to look forward to in Malaga in September. Along the way he will be seeking that elusive sub-32mins 10k. 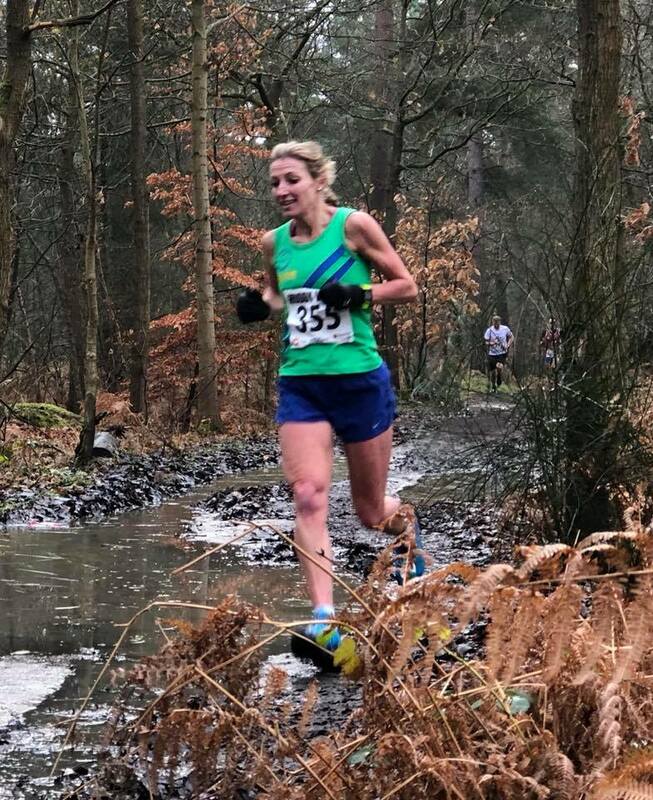 Carrie, meanwhile, also has plenty of big targets in the next few weeks… Bramley, the Wokingham and Reading Half Marathons and then London, where she will be aiming to finish in under three hours again. Both the Roadrunners’ experienced stars have been nominated by the club in the ‘veteran achiever’ category in the Reading sports personality of the year award next month. Middle-distance runner Helen Pool was also nominated for a local SPOTY prize in the ‘improver’ category.